where total protection of the awning is not necessary. offering a vast selection of models, colours and fabrics. dine; it will let you spoil your clients with an extensive sitting area out in the open where they can relax and enjoy delicious food. It is a well-known fact that customers are more likely to choose an outdoor locale to dine rather than a crowded room inside a restaurant. 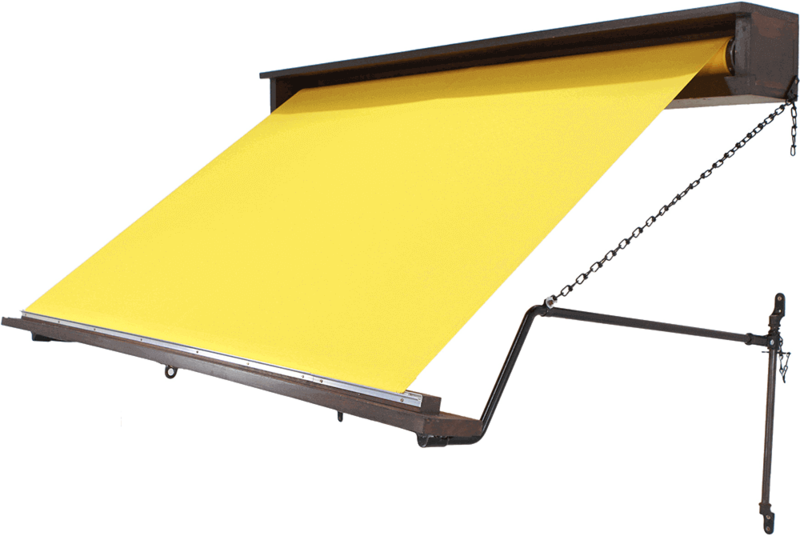 With our semi-cassette awning you can make your place the most visited place in the area. You can mix and match fabrics and designs to create your very own combination that will blend in harmoniously with the landscape. The folding arms are made using new technology to ensure the highest performance even in bad weather conditions. They bend noiselessly, without friction, and – with a remote control – you can operate everything with just a click of a button. Thanks to such add-ons as lighting or heating, you will be able to make the most of your outdoor space and will attract more people. For even better results, we can overprint your logo and brand name on the cover, so that everyone in the neighbourhood knows where to head in the evening. Your restaurant will be visible as never before.